The story of Hachiko, the purebred Akita dog, is a touching one and represents to many Japanese the very definition of devotion. Having been bought as a pet in 1924, Hachiko would walk with his master each morning to the local Shibuya station in central Tokyo and then return in the evenings to welcome him home. Except, one day in 1925, his master didn't return having been struck down at his work in Tokyo University by a fatal stroke. 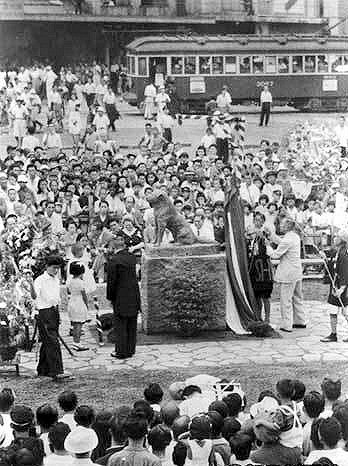 Despite this, for the next ten years, Hachiko continued to return to the station each evening to await his master's return. This act of loyalty was eventually recognised by Japan and a bronze statue of Hachiko was erected outside Shibuya Station where he would wait for his master each day. 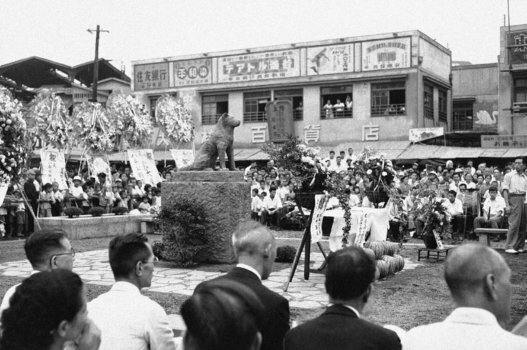 Hachiko himself was guest of honour at the unveiling ceremony. This unquestioning and devoted dog had caught the nations hearts and people thanked him for it. However, all things must come to pass and a year later in 1935 Hachiko hung up his collar on the streets of Shibuya. Sadly, the statue didn't last much long either. Being needed for the war effort, it was melted down and recycled. But you can't keep an old dog down and, in 1948, a new statue of Hachiko was commissioned from the son of the original sculpture. In this c1952 photograph of Shibuya Crossing, in the left hand corner, you can see him sitting there, still waiting for his master to come home. 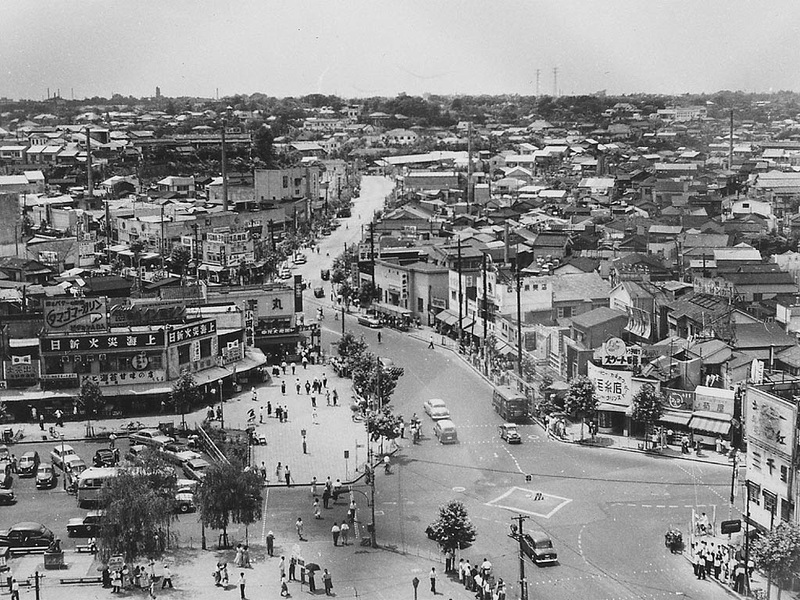 If this image were taken today, Starbucks would be on the right and Shibuya Station out of picture to the left. And this is where it becomes even more interesting. Here Hachiko is clearly facing towards the crossing but today the statue faces away. And that's because, in 1989, he was relocated as the area underwent a minor re-developedment. In more ways than one, a moving story indeed.